Almond butter is absolutely my favorite daily snack. I eat it every day before my workouts and throughout the day. It is my go-to food pre-race, from a sprint triathlon to a full Ironman. Just spread it on wheat toast and add some honey and you are in for a healthy treat. 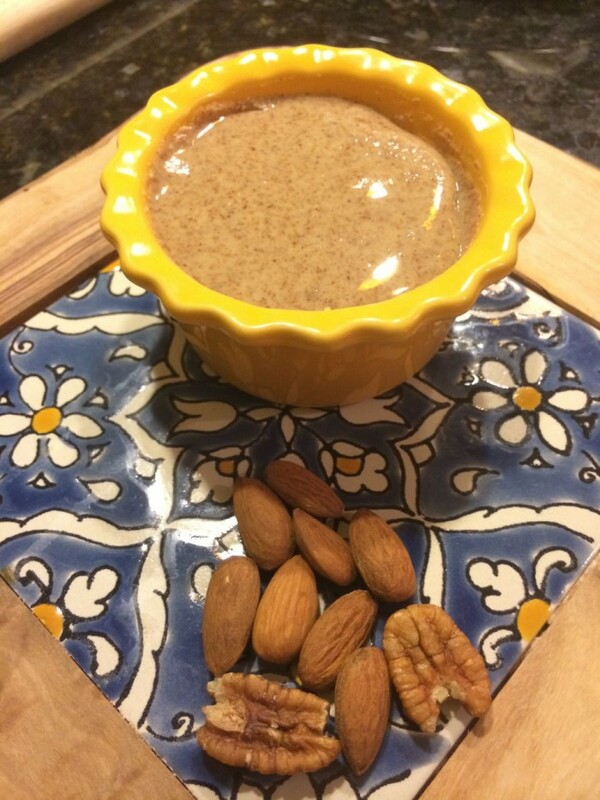 To get the maximum benefits of almond butter, I started making it at home for many reasons. It maybe hard to find, and can get expensive if you eat as much as I do. Also, many almond butter/peanut butter suppliers add unhealthy ingredients such as food preservatives, excessive salt, sugar, and saturated fats. 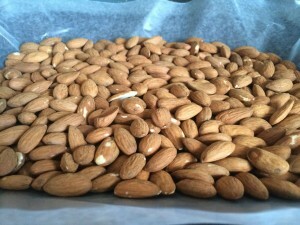 In addition, the process they use to roast the almonds can take out all the healthy omega-3 fatty acids. I prefer to mix some pecans and dates to my almond butter for added flavor and sweetness. I usually use raw almonds. If you prefer roasted almonds, you can roast them very easily at home. Just spread them on a baking sheet and put them in the oven for about 20-25 min on 200 degrees. Keep them on low heat so you don't damage all the nutrients and the fatty acids. Let them cool off, and then you are ready to make almond butter. Add everything to the Twister jar and start the blender on low speed, and slowly increase to about 7. Keep twisting counter-clockwise until the blender shuts off. The mixture may be a little thick. You can use a spoon or Blendtec's Spoonula to push it down if needed, then start the blender again, repeating the mixing process until the almonds turn into a buttery mixture. Use the spoon to scoop all the almond butter out of the blender into a glass bowl. Let it cool down for few minutes, as the mixture tends to be hot from the mixing process. Now you are ready to make your almond butter sandwich—just add banana slices and some honey on wheat bread and enjoy! One of the reasons I bought my Blendtec was to make almond butter, but I found it was not up for the job. I too like making raw almond butter, but the machine would overheat and would shut down when I tried to make it. I then purchased the Twister jar. It works a bit better, but the almond butter is not nearly as creamy as what you show in the picture. It also gets very hot, which I worry starts to cook the almonds. I prefer to make raw almond butter because there is evidence that roasted almonds contain high levels of acrylamides, which are carcinogenic. I gave up on trying to make it raw and would roast the almonds, as these are somewhat easier to blend. But even then I found I had to add a bit of canola oil. It is very hard to find commercial almond butter that isn’t rancid. I’ve found that most are—I think people just don’t realize what it’s supposed to taste like. Are you loading the twister jar with Almond? Try 1 cup at a time and use the hot soup button. Works for me with raw almond. I found the trick is not to put more than one cup at a time. Try overnight soaked almonds :) it should help.